Yes this is classic and I am going with Strange here. At Supreme level he has fought more powerful beings though some he had prep. 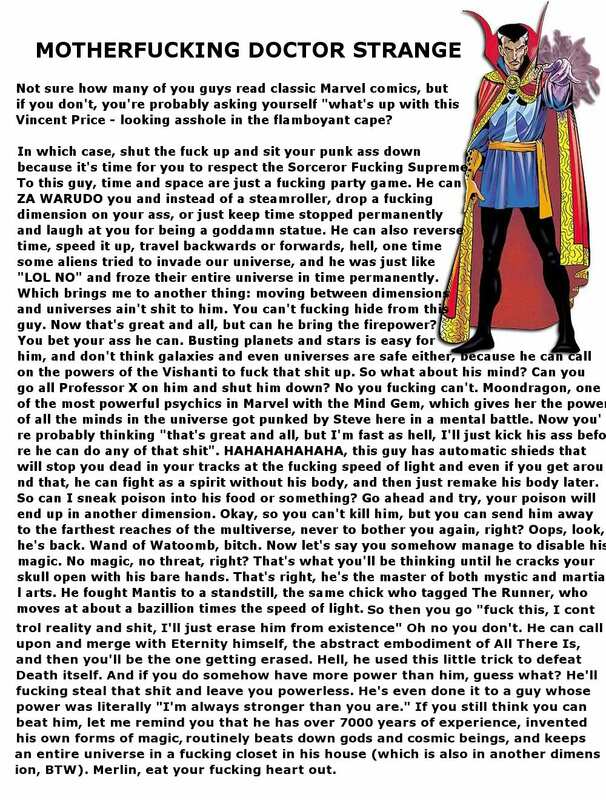 I think Strange will find some way to beat him. 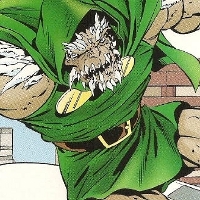 The problem is that Doc Doomsday is a powerful sorcerer in his own right. 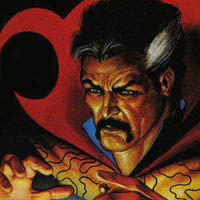 He can't match strange's magic but he can counter enough of it to use his strength and technology to win. Still Strange has bested Doom before with him settling in for second. So it'll come down to how Strange contends with the strength of something like Doomsday. He's liable to have some sort of spell to deal with the tech since it is someone he knows about. It's essentially Strange vs. Doom. Only Doom has the upgrade of all of Doomsday's powers(namely the power to adapt, and the super speed). Dr. Doomsday pretty much has this in the bag. I vote for Dr. Strange.